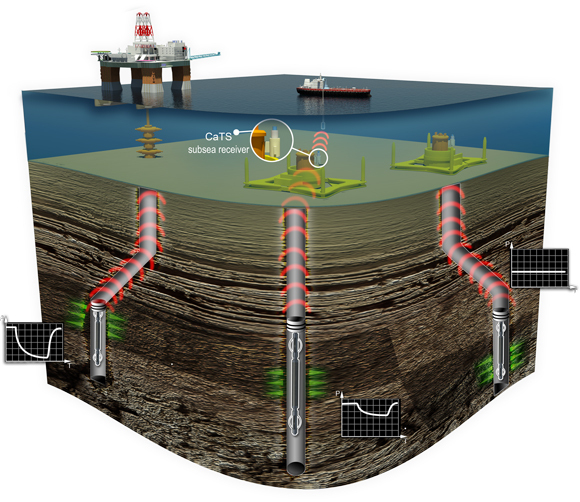 By the application of the CaTS™ wireless monitoring technology, well testing no longer has to end at well abandonment. During exploration and appraisal drilling campaigns, critical decisions regarding future field development planning sometimes have to be taken based on very limited data sets. Uncertainty regarding reservoir connectivity and compartmentalisation is one of the biggest risks the operators have to contend with during any hydrocarbon prospect and field development evaluation. This uncertainty can be reduced by maximising the time spent on appraising the prospect, but the pressure on minimising rig time and cost reduction often results in appraisal activity being terminated prematurely. The value of reservoir data that leads to better decision making regarding recovery factors and field development plans is substantial and CaTS Advanced Reservoir Testing™ can help to provide this critical data. CaTS can be installed into an appraisal well at the end of a drill stem test and used to monitor the reservoir response, potentially for several years after well abandonment. By using the abandoned appraisal well as a long term monitoring asset it is possible to record any interference effects resulting from production or injection events in the adjacent field area. This data provides very high value information about the reservoir continuity and connected volumes between several remote well locations. CaTS can also be applied in those situations where a long term pressure build-up (PBU) may be required to accurately characterize the reservoir or to identify far boundaries; continuing to accurately monitor the PBU for months or even years after the rig has departed the location.